Parents are more involved than ever in their children’s day-to-day education. This is a good thing. Parents should take an active interest in how their kids are doing at school. But there’s a dark side to this. There are parents that assume that they can dictate to teachers how they should be doing their job. There are also many accounts of parents demanding special treatment for their children. Our society has become less and less respectful of qualified opinion. Expert opinion should always be open to challenge. But those challenging the opinion should understand that an expert is an expert for a reason. This is not the attitude our society takes in general nowadays. And teaching as a profession, in particular, has seen a marked decrease in respect by society. Student respect for teachers has diminished over the last few decades. 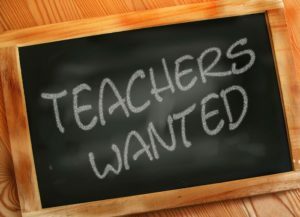 But a poll taken in America shows that the number of parents who respect teachers and what they do has dropped sharply. The poll shows that respect for teachers in the minds of parents plummeted from 91% to 49%. Less than half of parents have respect for teachers and what they do. Female teachers are more likely to experience this type of harassment. 40% of men experienced this type of harassment once a month or more. That is a horrible percentage. For women, the statistic sits even higher, at 50%. Physical altercations have been known to happen. Physical, Verbal and cyberbullying are easy to recognise (and are unacceptable). Dennis Sleigh has identified some other ways that bullying occurs. 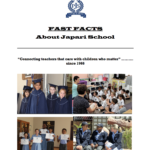 He is an Australian teacher with over four decades of experience. Here are some ways that parents used their personal power to intimidate teachers to do things their way. These are the parents that run to the district over-seer or even the media when they take issue with a teacher or a school. It is appropriate to take a valid complaint further when nothing is done after speaking to a teacher and principal. But if that step is skipped over, it seems as if these parents are more interested in a power trip than resolving an issue for their child’s sake. It is right to inform the pertinent authorities when a teacher or school disobeys a rule or regulation. But these are parents who take it to an extreme. Sometimes it is even imagined rule-breaking that gets reported. One might find that these false reports involve the parent’s own children. If their kids are overlooked at an awards ceremony, for example, the principal might get a call from a regional overseer’s office. It might be noticed that these same parents never write letters commending the schools for a job well done. This is a bullying tactic disguised by a veneer of concern. Mr. Sleigh calls this type of bullying parent the “pouting pull-out”. Parents like this don’t have their children’s needs at heart. They usually throw this “threat” around for matters that are less than serious. These are the parents that will talk long about their grievances… to other parents. Rather than addressing a situation, they will tell anyone willing to listen about “what goes on at that school.” This is immature and can cause incredible problems for the victims of this gossip. Mr. Sleigh signals these out as the most innocent when it comes to bullying. However, he cautions that they cause the most long-term damage. These are the parents who can tell everyone why any suggestion won’t work because it has been tried and didn’t work. They make volunteering unpleasant for everyone else because of their know-it-all attitude. Most people find it unappealing to work with this type of parent. Because of this, these parents dissuade others from getting involved. Mr. Sleigh categorises them as bullies because they use personal power to get their own way. The overt nature of cyberbullying and physical or verbal abuse make it easy to identify and condemn. These other categories of bullying are subtler but alert us to the danger of parents trying to intimidate or coerce teachers. Often these actions are power plays rather than stemming from a genuine concern for their children. Now there are times when it is necessary to address an issue that a child might have. A parent’s first priority must always be the safety and well-being of their children. So how does one go about tackling a situation where you suspect that the teacher might be in the wrong? Assuming that your child isn’t in imminent danger, here are some non-bullying suggestions. Make sure you know what the school’s policy is regarding student-teacher disagreements. This should outline the way in which to approach the interaction going forward. The most important factor in this scenario is to make sure that you, as a parent, initially take your child’s side. Then you must then hear both sides of the story. There might be a legitimate reason for the pupil’s experience that would be overlooked if only the student’s version is considered. In this case, you would need to adjust your perspective and actions accordingly. Schedule a meeting with the teacher before talking to the principal. Parents often go directly to principals without first talking to teachers. This isn’t helpful. Keep in mind that in our social media-saturated society, a false accusation can have a dreadful impact on a person’s career and/or private life. Keep in mind that you would want the chance to clear up any misunderstanding that you might be involved in. Give the teacher a chance to do this before going to the principal. If after discussing the situation with the teacher it is still necessary to speak to the senior staff, do that. File formal complaints if appropriate and necessary. In this way, you can know that you are watching out for your child’s wellbeing without having to resort to bullying tactics. Bullying anyone is never tolerable. Make sure that you are not in the wrong by being overly aggressive with an innocent teacher. Good teachers play an intrinsic role in shaping the society of tomorrow. Many good teachers are being lost forever to other jobs. In England, over 30% of teachers who started new jobs in 2010 left within 5 years. Teaching in and of itself is a demanding job. It is far more taxing than most people realise, for pay that is less than great. And with the added factors of bullying and demands from parents, many new teachers are understandably leaving the profession. Something must be done if we hope to see the best teachers producing the best students. Intimidation and bullying are not the ways to do it.